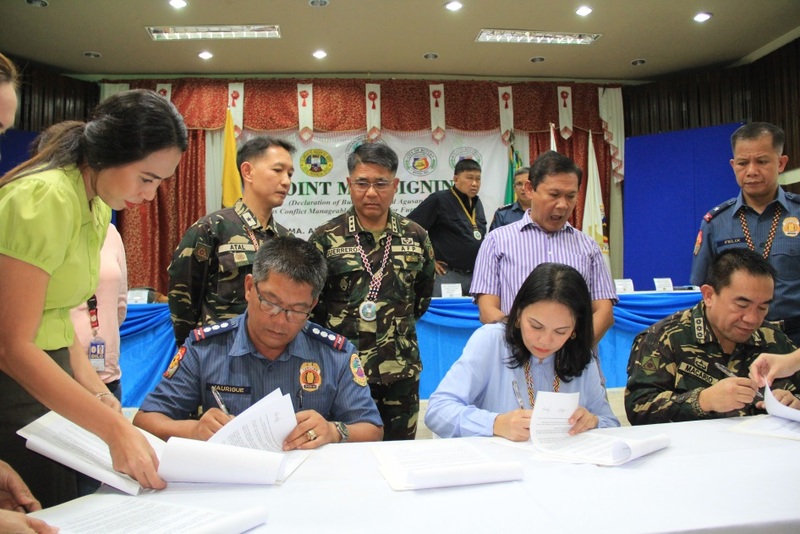 BUTUAN CITY- The Province of Agusan del Norte and Butuan City are now Conflict Manageable and Ready for Further Development (CMRFD) which jointly declared by the Provincial and Local Government officials together with the AFP and PNP. The declaration was supported by Memorandum of Agreement (MOA) that was officially signed during the Signing Ceremony on March 14, 2016 at the Provincial Training Center, Provincial Capitol. 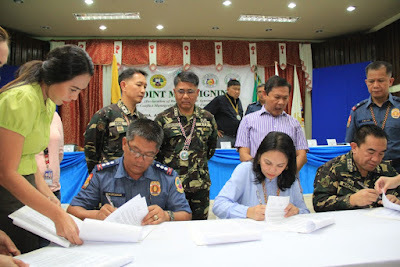 The CMRFD stage of both Province and the City declaration was recommended by the Armed Forces of the Philippines and Philippine National Police that was adopted by the Provincial Peace and Order Council and City Peace and Order Council and confirmed by the Sangguniang Panglungsod of Butuan City and Sangguniang Panlalawigan of Agusan del Norte during their session on February 16 and February 18 respectively. The MOA Signing Ceremony was participated by the following Parties: Hon Ma. Angelica Rosedell Amante-Matba, Provincial Governor for the Provincial Government of Agusan del Norte; Col. Alexander L Macario for the AFP through the 401st Brigade; and PSSupt. Ronilo D. Jaurigue for the Police Provincial Office, while for Butuan City the parties were Hon. Ferdinand M. Amante Jr., for the City Government of Butuan, again Col. Alexander L. Macario for the AFP thru the 401st Brigade; and PSSupt Francisco D Dungo for the City Police Office. 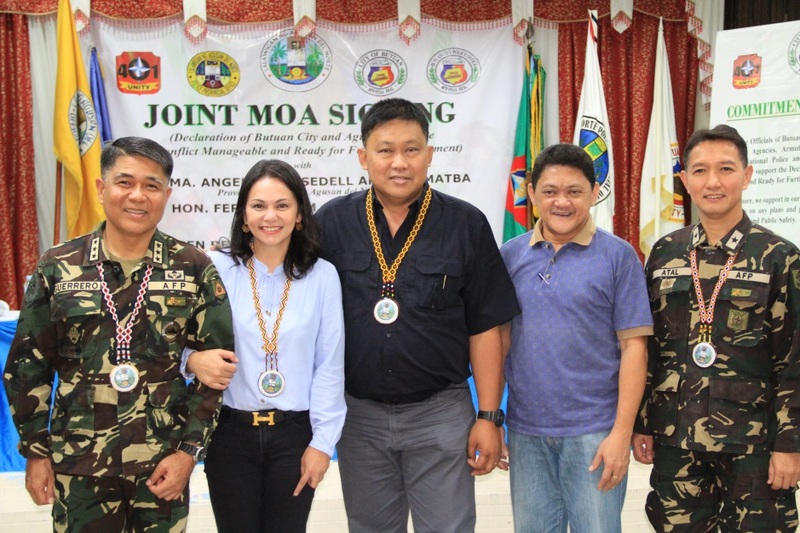 The Signing of the MOA was witnessed by Lt. Gen. Rey Leonardo B. Guerrero, Commander of Eastern Mindanao Command; MGen. 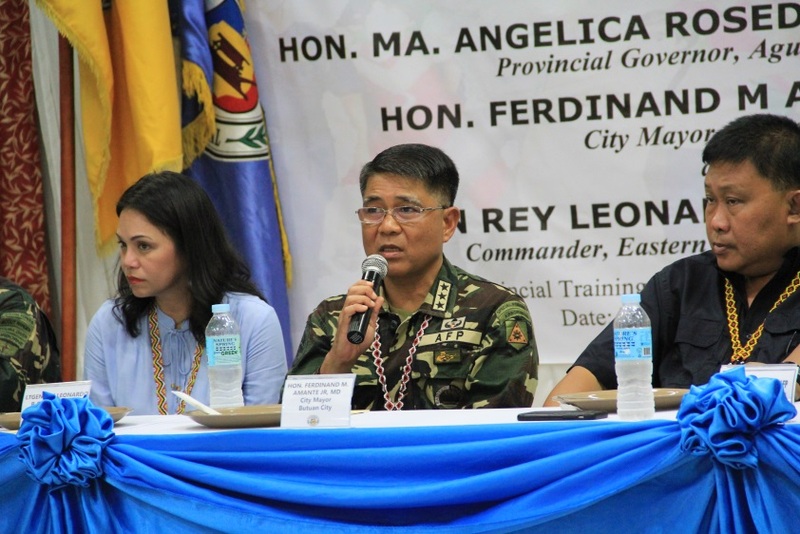 Oscar T. Lactao, Commander of 4th Infantry Division, Philippine Army represented by the Assistant Division Commander BGen. Paul T. Atal; PCSupt. Rolando B. Felix, Regional Director of PNP Regional Office 13; Hon. Ramon AG Bungabong, Vice Governor; and Hon. Angel S. Calo, the City Vice Mayor. 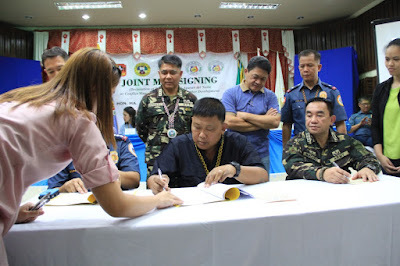 Another highlight of the program was the unveiling and signing on the wall of commitment where the Government officials, stakeholders, uniformed men from the AFP and PNP and the Media Members signed for their commitment of support for the declaration of the province and City as Conflict manageable and ready for further development.